A city of 2 million people, Copenhagen, Denmark was founded in the 10th century and is considered one one of the major centers of northern Europe. It is a city with wonderful historical sites, and also a very contemporary aesthetic. It has a fascinating geography, defined by the water. Bridges connect different parts of the city, and over to Amager. The new Øresund bridge, completed in 2000 connects over the Strait of Øresund to Malmö, Sweden. Geographically, a lot of the development has taken place along ‘five fingers’ stretching out of the city along rail routes. Development has also taken place on Amager. 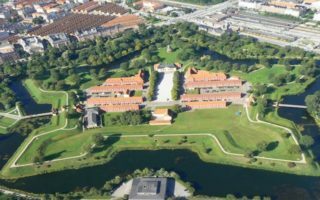 The city center is compact, defined by the old ramparts, which are still referred to as the Fortification Ring (Fæstningsringen) and kept as a partial green band around it. 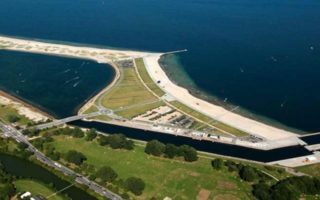 Amager Strandpark is a 2km artificial island and beach that was built in 2005, easily accessible by bike and metro. Copenhagen is a great city for running. Most of our routes are easily accessible from downtown hotels and businesses. 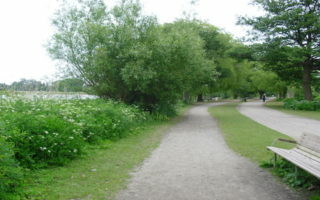 There are wonderful routes along the harbour, a ‘five lakes’ run, and terrific parks. For a great destination run, take the S-Bahn to Dyrehaven or Utterslev Mose. Weather is a factor here — it can often be rainy and unsettled. 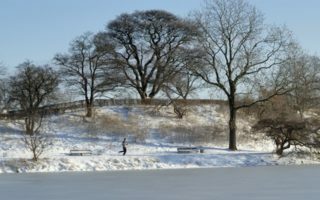 There’s not much daylight–or sun–in winter, and there can be snow and ice although average high temps are just above freezing. Summers are mild but not warm, and there are wonderful, long days. The city has a great public transportation system. Within the city is the metro, which opened in 2005. There are also buses and local trains. The S-Trains lead outside the city. The three main S-train stations are Nørreport, Østerport, and Vesterport. There’s also a Ferry along inner harbour, which makes for great one-way running opportunities! The infrastructure for cycling is fanstastic. Many thanks to Kent at the Marathon Sport running store for his help with this guide! 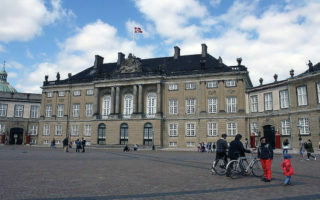 Our Copenhagen 'runseeing' tour of Copenhagen's key sights: the main shopping district, along the old harbor, past the royal palace, through the old fort, several parks and palace gardens, and the university neighborhood. One of the most popular places for running in Copenhagen. 4 miles of running along the water on dedicated paths, centrally located. Easy to vary with bridge crossings and parks nearby. A fantastic waterfront and fortress combo run. 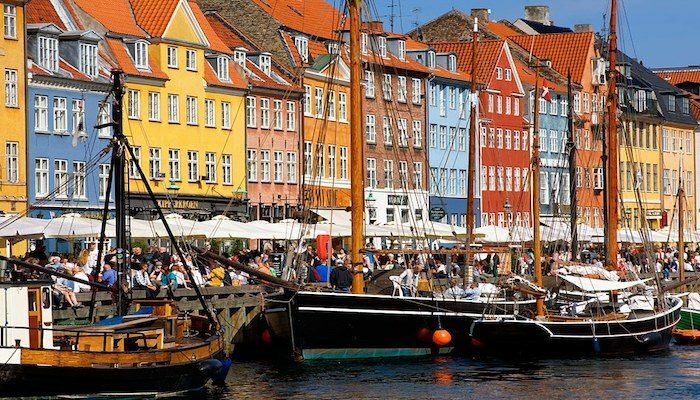 Enjoy the Nyhavn, the 17th-century waterfront, canal and entertainment district with its colorful townhouses, and then the 2.5k loop around the wonderfully preserved Kastellet. 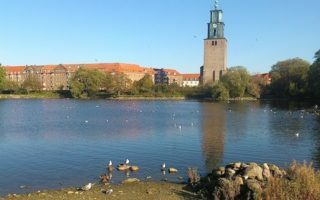 A 7k tour of Copenhagen's centrally located parks, connected by bridges and the Lakes trail. 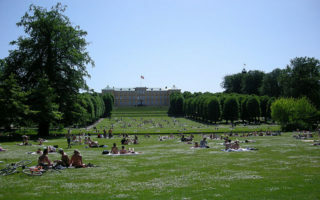 Includes Østre Anlæg, Fredens Park, Amor Park, and Fælledparken. Add on by doing more of the Lakes path. Two gorgeous and adjoining parks, about 4km from the central city. There are landscaped grounds, great lawns, palaces, cisterns, lakes, and winding, wooded paths. Can easily put together a few km of running in these parks. 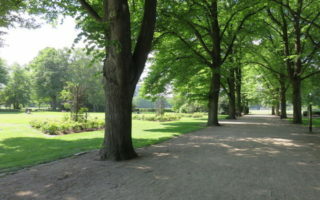 Centrally located park, with great paths for walking and running. It's about 3.5k around the perimeter paths. Great to combine with Lakes paths, and the Østre Anlæg park just to the south. This is a great run in two adjoining neighborhoods, just over the bridge from Nyhavn. Enjoy running the ramparts, along the water and into the funky Freetown Christiana neighborhood, and around the Opera House. Great run along man-made beach on an island a few km south of central Copenhagen. Easily accessed by metro. There is a paved promenade paralleling the beach. Good opportunities for swimming, other watersports in area. A series of three lakes 6 miles north of Copenhagen, easily reachable by S-Bahn. Wonderful combination of water views and wooded trails. A run around all the lakes is 5.5 miles. A forest park 15km and UNESCO World Heritage Site 15km from Copenhagen, easily reachable by train. 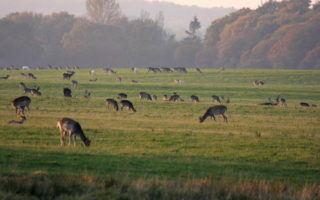 There are 1,000 acres of trails with ancient oak trees, and large populations of red and fallow deer. Amager Fælled is home to Parkrun, a free group 5k held every Saturday morning. the city comparatively mild in winter, with average temperatures above freezing. Still, it can snow and roads can be icy. Winters have short days and little sun. Summers are mild, with average high temps in July around 70F (21C) and cool nights. Days are lovely and long. 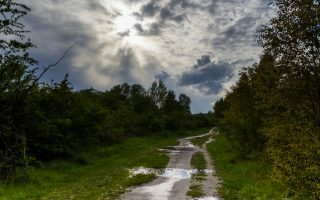 Rainfall is common throughout the year, and there can be strings of cloudy days. 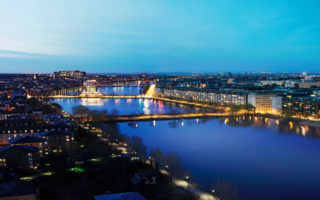 Most of the hotels well located in the city center, between then Ingerslevsgade main rail lines to the west and inside the 02 highway to the east, and then between The Lakes and the Harbor. There aren’t that many hotels in Christianshavn. There’s a cluster of business-y type hotels along the water and the 02 highway to the southwestern part of the city. Joyrun is another local running store, near the Botanical Garden. Vivobarefoot concept store, centrally located. Byman Sport is a triathlon store near Østre Anlæg.